Leading companies recognize that the integrity of their supply chain impacts not only the quality of their products, but ultimately the overall success of their brand. This section identifies the areas that smart companies account for in order to ensure a sustainable and just supply chain, including risk mitigation, efficiency optimization, material sourcing, and driving a culture of responsibility. You’ll also find helpful resources to get started on your own, and of course the PSC is available to advise on next steps and custom projects for members to improve supply chain sustainability. A supplier Code of Conduct (CoC) is a set of standards that a company and its suppliers agree to ensure that a set level of environmental and social practices are met. A CoC helps a company ensure that its suppliers engage in social and environmental practices that are aligned with its brand values which drives two primary values. This guide, with a template included, is meant to support the development of your company’s customized CoC. This guide was created to help your organization purchase more sustainable materials while preserving key financial and performance standards. This guide will present key environmental considerations for several key materials, provide materials to source from and evaluate vendors, and educate employees on key sustainability concepts. The guide contains both a Purchasing Policy and a Vendor Letter template that can be customized for your business. More and more companies are extending their commitment to responsible business practices throughout their supply chain, including vendors, suppliers, and partners. The questions companies are asking their supply chain cover two main areas, firstly what a company’s commitment to sustainability is, and secondly the sustainability attributes of a company’s product portfolio. 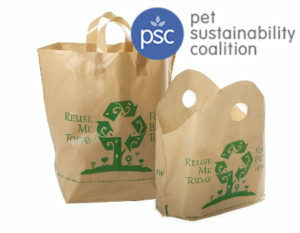 As a collaborative organization PSC, is positioned to help retailers draft, distribute, and collect responses from brands as well as help brands collect responses from their suppliers. As an industry it is important that we try and streamline the number of surveys brands are receiving, otherwise every retailer could end up asking different questions to the same brand. To help minimize the potential for “reporting fatigue” we ask that if you are looking to send out or a supplier survey or simply respond to one that you reach out to us. Learn how MOM’s Organic Market worked with PSC to develop stronger relationships with their suppliers to improve supply-chain transparency. Learn about Kinn’s life cycle assessment, an assessment tool that analyzes the full scope of environmental impact over the life of a product, from design to end of life. Learn about Josera’s streamlined life cycle assessment and how different ingredients compare when it comes to carbon footprint. Life Cycle Assessment (LCA) is a data management tool that analyzes the full scope of a product’s environmental and social impact, from design to end-of-life and all the steps in between. Prashant Jagtap will introduce us to the Compass LCA tool and walk us through a demo of calculations focused on packaging and transportation. The goal of this series is to empower our members to make the most of PSC’s QIA tool to shape your company’s sustainability roadmap, understand the primary business drivers for each performance area, get buy-in from your team and implement improvements for greater impact not just to people and planet, but also profit. 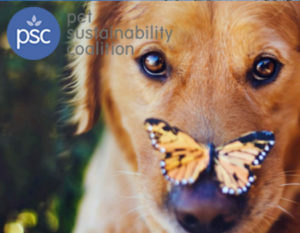 In this webinar, PSC is pleased to announce the launch of a collaborative pilot with the Sustainable Apparel Coalition (SAC) in order to pilot the use of their Higg Index product tools that have already critically improved the sustainability of apparel and footwear industries! In the webinar, Scott will orient members to the Higg Index Materials Sustainability Index (MSI) and a Design & Develop analysis tool offered by the SAC, both of which empower decision making in design in order to mitigate impacts and increase efficiency of resource use, specifically for textiles. Learn how to incorporate more sustainable and socially just materials into your products with these insightful tools. Be sure to check out the supply chain resources on the right. Taking the Quick Impact Assessment, that we created in partnership with B-Lab, will provide additional insight into the many dimensions of supply chain. The other hand picked articles and videos will provide you with more information on sustainable supply chain practices. Additionally we have created and compiled a database resources for your use on a variety of sustainability issues. Feel free to explore our these articles, PDFs, slideshows, videos, etc.